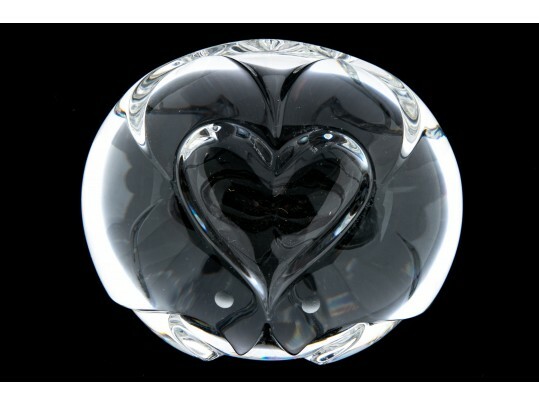 Steuben paperweight/hand cooler with two opposing birds forming a heart within a heart. Signed on verso. Condition: scratches under base from table-top friction.